TKw1-32, location unknown, August 1962. Photo from my collection. ‘Essen 1706’, KPEV, BMAG 3615/1906. Postcard from my collection. ...and the second one, July 29, 2006. 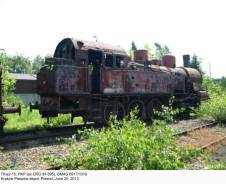 Derelict TKw2-57 (BMAG 6917/1919), abandoned in Krzeszowice; photo taken on August 19, 2005. Another picture of the TKw2-57, taken on May 27, 2005 by a friend of mine, Waldek Rosiński. In November 2007 this engine was transferred to the Kraków Płaszów depot. Much earlier picture of the TKw2-57 in service: Bytom, April 29, 1975. Photo by Roman Witkowski (postcard from my collection). TKw2-90, photographed at the Katowice depot in October 1960. Photo from my collection. 94 1538, DRG, formerly KPEV ‘Essen 8763’, BMAG 8085/1922. This locomotive was withdrawn from DB service in April 1972 and is currently owned by Dampfbahnfreunde Mittlerer Rennsteig, Ilmenau. Photo from my collection. Recovery of slightly damaged TKw1-52, most probably somewhere in Poland in September 1939. 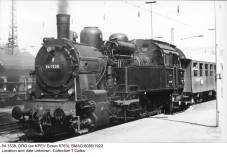 This engine (BMAG 7449/1921, KPEV Münster 8123), tentatively numbered 94 1108, finally went to PKP in 1922. After repairs became DRG 94 1407 and went to ÖBB in 1945. Then, after a brief period in the USSR, it was handed over to PKP and re-numbered TKw2-121, to remain in service until September 1974. TKw2-15 (ex 94 895, BMAG 6917/1919) kept at the Kraków Płaszów depot. Photo taken on June 20, 2013. 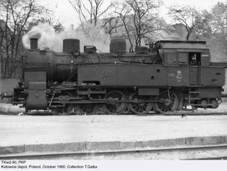 This T16 is most probably Breslau 8139, Schwartzkopff 4404/1909. Location and date unknown. Photo from my collection. KPEV Breslau 8123 (BMAG 3784/1907), location and date unknown. Source: Die Lokomotive November 1907. Photos of former class T161 in the DR service from my collection can be found here. 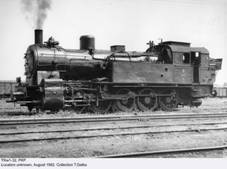 Prussian tank engine class T16 was designed by Robert Garbe, who gave the Königlich Preußische Eisenbahnverwaltung (KPEV) several of their most successful steam locomotives. His intention was to create a freighter suitable for mountain lines, with steep gradients and tight curves, that could also double as a heavy switcher. For this purpose he adopted five coupled axles in so-called Gölsdorf layout (based on theoretical works of Herman Helmholtz), wherein 1st, 3rd and 5th axles had transverse travel and 2nd and 4th axles were fixed in the frame. Axle loads were (front to rear): 15.5 tonnes, 14.5 tonnes, 16.5 tonnes, 14.4 tonnes and 14.7 tonnes. Main rod was connected to the fourth coupled axle. Boiler was almost the same as in class P6 passenger locomotive. Design of the new machine was submitted in 1904 and prototype, classed T16, was completed in 1905. In fact it was the second machine to bear this designation: first T16 was an experimental machine with 2-3-2 axle arrangement, built in 1904, that remained a single prototype. 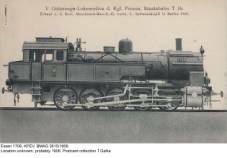 A locomotive with five coupled axles in one frame was still a novelty in 1905 and it was therefore decided to perform a series of tests, in order to compare T16 with earlier T15, designed for the same tasks and already in production. T15, designed by Hagans and put into production in 1896, was a somehow unorthodox engine, running on saturated steam, with three axles in the rigid frame and further two in the second, pivoted one; all five axles were coupled by articulated side rods. Tests were completed in June 1905 and Garbe’s machine proved superior, both in running qualities and economy (due to steam superheater). Production of T15 was thus terminated (only 93 examples having been supplied to KPEV) and T16 was immediately ordered in quantity. Between 1905 and 1913, Schwartzkopff built 343 examples for KPEV (including prototype); further 22 were built by Grafenstaden for railways of then-German Alsace and Lorraine. During the production run, T16 was progressively modified. Gölsdorf axle layout was, despite initial success, found not entirely satisfactory and in 1909 the locomotive was redesigned, main rod being connected to the third axle. This further improved running qualities and allowed for maximum speed increase from 40 to 50 km/h. Chamber-type steam superheater was quickly replaced by a more typical Schmidt-type one, with heating surface of 37.1 sq.m (later increased to 41.4 sq.m). Other modifications included larger water boxes, slightly larger coal capacity and revised brakes. For these reasons, some sources distinguish three distinct production variants. In 1913, T16 was again redesigned. Superheater heating surface was increased to 45.27 sq.m, which was accompanied by a slight reduction of evaporating surface. 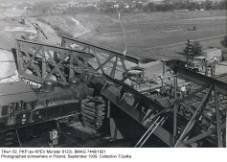 Water and coal capacities were increased and, as this variant was intended to replace rack engines on some most demanding mountain lines, Riggenbach counter-pressure brake was fitted. Rated power and tractive effort remained virtually unchanged, but overall weight was increased by almost 10 tonnes, with corresponding maximum axle load increase from 16.5 to 17.2 tonnes. According to some sources, maximum speed was again increased, to 60 km/h. New variant was accepted for service as KPEV class T161 and remained in production until 1924, total output reaching 1236 examples. Both T16 and T161 were considered very successful and useful machines. 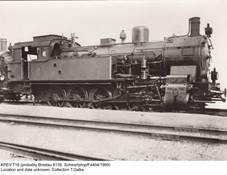 After WWI, German railways retained 267 T16s, classed 942-4, and 1116 T161s, classed 945-17. Several went to other countries. In Belgium, both types were given SNCB designation class 98. In France, several T161s were included in class 050TA, together with other 0-5-0s. Ten T16s, built between 1907 and 1913 and left in Bulgaria after the war, served with BDŽ as class 50. Poland acquired 22 T16s and 37 T161s, which were impressed into PKP service as class TKw1 (three served in Gdansk as TKw1-1Dz through 3Dz). Most were transferred to Upper Silesia and served with local freight trains; many were used as heavy switchers. A few of them were fitted with armor and used with armored trains in early 1920s, but few details are available on that interesting episode in their otherwise not very eventful career; as far as I know, no photographs are known to exist. In September 1939, 44 were taken by Germans and impressed into service, again divided into two classes (those accepted by DRG were allocated service numbers 94 468 through 490 for T16s and 94 1801 through 1810 for T161, but these included also ex-Belgian machines). Fifteen Polish TKw1s were captured by the Soviets and converted to 1524 mm track. During the war, several German machines were also taken over by Soviet troops as war booty; details are few, but it seems that at least T161s were not given Soviet class designation and served with DRG numbers. They were used mainly for switching, some went to industry. 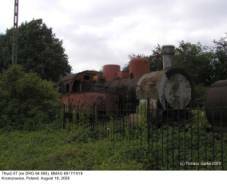 A number of them were converted to oil firing. Czechoslovakia had two T16s (ČSD class 535.0) and thirteen T161s (class 537.0). Of the former, 535.0500 (Schwartzkopff 4828/1912, KPEV Kattowitz 8112, then PKP TKw1-11 and DRG 94 479) returned to Poland in 1947 to become TKw1-35; the other, 535.0501 (Schwartzkopff 4548/1918, KPEV Breslau 8145, DRG 94 308) was withdrawn in July 1956. Most T161 were returned to PKP or DB until 1949, those few that remained survived in service until 1957; none has been preserved. Several machines briefly served with Austrian railways. After WWII, DB were left with 82 T16s, last of them surviving until the end of 1953; with DR their service ended in mid-1960s. T161s remained in use for much longer. Last of 690 examples in the DB inventory were withdrawn in 1974; DR had about 250 engines and last were written off in mid-1970s. Poland acquired 39 T16s and 129 T161s, but this time it was decided to divide them into two separate classes, designated TKw1 and TKw2, respectively. As before the war, switching and local freight trains remained their domain; both classes served mainly in Upper Silesia and some were used in large seaports. As with other heavy switchers, many (probably 28 TKw2s, I have no data on TKw1s) went to industry, mainly Silesian collieries. Most remained in that important, if inconspicuous, service until early 1970s. 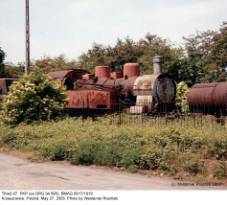 The last, TKw2-57 (Schwartzkopff 6917/1919 – some earlier sources erroneously give 7188/1920), withdrawn in December 1976 in Bytom, was transferred to Krzeszowice in 1997 and abandoned there. In November 2007 it was transferred again, this time to the Kraków Płaszów depot, and is still there, in a very poor condition. Some industrial operators kept them for a few years longer. 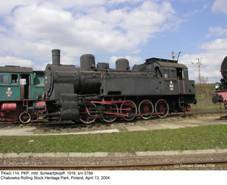 TKw2-114 (Schwartzkopff 5789/1916), used by a colliery in Zabrze, was the last of them: this machine, withdrawn in 1982, is now on static display at the Railway Stock Heritage Park in Chabówka. Plans to preserve TKw1-32 never saw fruition and this engine was scrapped in 1980. - 94 1730 (Linke-Hofmann 2899/1924, Deutsches Dampflokomotiv-Museum, Neuenmarkt/ Oberfranken). Furthermore, 94 503 (Schwartzkopff 5122/1913, KPEV Köln 8126) has been preserved at ÖGEG Ampflwang (Austria), and 94 1640 (Schwartzkopff 8206/1923) is plinthed in Gennep, The Netherlands. 94 649 (Schwartzkopff 5546/1914, KPEV Magdeburg 8110) has had a particularly colorful history: after brief encounter with ÖBB in Austria (DRG number retained) it was taken by the Soviets in 1949 and two years later sold to Romania, where it served at an industrial plant. 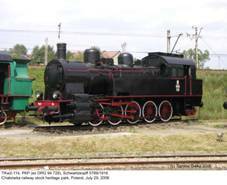 This machine can be seen at the railway museum in Sibiu. 1) Before WWI (KPEV T16 only, excluding T161 also classed TKw1). 4) Some sources give 72 300 to 80 900 kg depending on variant (at least three). Some sources give 8 780 mm – see above. 1) Some sources give 1250 examples. 2) Before WWII (included into class TKw1). - www.holdys.pl/tomi (website by Tomisław Czarnecki).